Russian President Vladimir Putin has kept international attention riveted on Russian operations in Syria while escalating military deployments and political operations across Europe, the Middle East, and Asia. Putin’s global strategy relies on creating the impression that a U.S. challenge to Russian expansion would be met with a conventional military or even nuclear Russian response. Putin aims to present the incoming administration with the false dichotomy of partnering with Russia and allowing Putin to operate with impunity or going to war. Putin has not changed his approach following the U.S. election despite the conciliatory tone struck by President-elect Donald Trump. He has instead continued to make forward military deployments and used increasingly aggressive rhetoric. Russia announced a massive new deployment of some of their most advanced anti-aircraft systems to Syria the day after the president-elect expressed his hope for a "strong and enduring relationship with Russia" during a phone call with the Russian president. Putin has continued to act to ensure that the incoming administration must negotiate any U.S.-Russia reset on Russian terms. The Russian president intends to cement Russian military presence in strategically significant areas and compel the incoming administration to accept Russian faits accomplis at the expense of U.S. interests. Putin will be able to diminish U.S. influence globally even before Trump takes office if the outgoing and incoming administrations do not resist him. Putin has used Russian military operations in Syria as cover to deploy highly capable air force, anti-aircraft and naval units into the Middle East. He is already using these capabilities to limit U.S. freedom of operations in the eastern Mediterranean. Russia has continued to build its network of anti-air missile systems, and deployed an additional seven advanced S-300 units along the Syrian coast on November 15, 2016. Putin has also deployed advanced naval capabilities. Russia’s sole aircraft carrier, the Admiral Kuznetsov, deployed to Syria with much fanfare. The ship itself brings no meaningful additions to Russia’s military capabilities in the theater and primarily functions as a propaganda tool. Highly-capable vessels that do enhance Russia’s ability to challenge U.S. and NATO forces in the Mediterranean accompany it, however. The Pyotr Velikiy and Admiral Grigorovich, as well as three submarines, provide Russian forces off the Syrian coast with advanced offensive cruise missile capabilities, naval air defense systems and anti-ship missiles. All of these systems in combination allow Russia to establish an anti-access/area denial (A2/AD) zone over much of the eastern Mediterranean and Syria. These systems constrain the operations of US forces. American aircraft can either operate according to Putin’s desires or risk a military confrontation with Russia. Constraining American activities is the primary purpose for most of these deployments. ISIS, al Qaeda, and affiliated opposition groups have no air or sea forces and extremely limited anti-aircraft capabilities. Putin is fighting on behalf of the Assad regime and with the Iranians, so their aircraft are allies rather than threats to Russian troops. These advanced anti-aircraft and anti-ship systems can only be directed against American forces or those of America’s NATO allies or Israel. The Kremlin itself stated that these systems are meant to play a “deterrent role”. Putin has also increased the intensity and tempo of military deployments in the Baltic region, heightening Russia’s military posture and signaling his intention to continue challenging the U.S. and its NATO allies in Europe. Moscow announced on November 21, 2016 that it would permanently deploy Iskander-M tactical ballistic missiles to the European enclave of Kaliningrad along with additional S-400 anti-air missile systems. Russian forces in Kaliningrad will also receive the Bastion-P anti-ship missile system, which was recently shown to have land attack capabilities. These deployments follow the June 2016 overhaul of the Baltic Sea Fleet leadership, as well as efforts to provide the fleet with advanced surface vessels. Putin is using the symbolic value of these deployments to achieve much larger strategic gains than the marginal increases in tactical capability most of them constitute. The permanent deployment of the Iskander system, which can launch missiles carrying either a conventional or nuclear payload, demonstrates Russia’s ability to conduct a tactical or operational nuclear strike in Europe without using its intercontinental ballistic missiles (ICBMs) or submarine-launched ballistic missiles (SLBMs), and without requiring manned bombers to penetrate NATO air defenses. The renewed armament of the Baltic Sea Fleet similarly signal Russia’s intention to intimidate the Baltic States and Poland even as NATO reinforces them with multinational battalions. Putin hopes to intimidate or coerce the U.S. into ceding influence in Eastern Europe, allowing him to expand Russian military and political influence. Putin is watching how the U.S. and its allies react to deployments in the Middle East and Europe in order to gauge his ability to increase the Russian military presence in Asia. Russia has been engaged in a high-profile buildup on the Kuril Islands, the subject of a territorial dispute between Japan and Russia. The Russian Ministry of Defense announced in May that it will build new military infrastructure there, including a new Pacific naval base, and recently deployed Bal and Bastion-P anti-ship systems. The buildup of Russia’s Far East is likely to follow familiar playbook. Russia already operates S-400s on the Kamchatka Peninsula and Tor-M2U short-range air defense systems on the Kuril Islands. Russian forces were in the coastal province of Primorsky Krai were equipped with Iskander-M tactical missile systems in July 2016 and undertook drills on November 19, 2016. Anti-air systems may be used to secure the airspace in Russia’s Far East, while the Iskander systems signal the threat of nuclear escalation. The Russian Ministry of Defense announced the creation of a new ground forces division in the Far East, including additional deployments to the Kuril islands, as well as heavy bomber patrols in the Pacific. Putin will become more aggressive in his militarization of the Pacific if his approach in other theaters goes unchallenged. Putin has coupled these deployments with nuclear rhetoric and signaling in order to coerce the West to acquiesce to or even partner with Russia. Russian officials and media cast the current situation as a re-emergence of the Cold War, highlighting Russia’s capabilities and of its willingness to use nuclear weapons. Russia recently codified its withdrawal from the Plutonium Accords, a bilateral agreement with the U.S. to destroy weapons-grade plutonium used to build nuclear weapons. Russian media has launched a propaganda campaign to further the narrative of escalating nuclear tensions, including claims of nation-wide drills in case of a nuclear attack. It has also highly publicized recent Russia’s new ICBM, the Sarmat (NATO designation: Satan 2), and tests of the error-prone Bulava, a sub-launch ballistic missile (SLBM). Putin aims to propagate the narrative of Russian capability and readiness to engage in nuclear war to artificially raise the stakes of U.S. resistance to Russian military expansion. In addition to exerting military pressure, Putin has worked to undermine U.S. influence and support by forming partnerships with foreign governments and political parties. Putin aims to split the solidarity of U.S. allies while empowering countries that oppose U.S. interests in an effort to reduce support for U.S. operations globally. Putin seeks to constrain U.S. operations in the Middle East further by courting Egypt as a military partner and providing advanced weapons to Iran. Russia undertook its first military exercises with Egypt, involving elite Russia airborne units along with Egyptian paratroopers, in mid-October. Putin likely seeks to establish a base on Egyptian territory to further strengthen Russia’s military presence in the Eastern Mediterranean. Cairo may well refuse to allow Russia to base on its territory, as this would risk it losing significant military aid from the U.S., but Putin has already convinced President Abdel Fattah el Sisi to support Russian initiatives in the UN Security Council. Putin has also continued to provide arms and advanced capabilities to Iran, including S-300 air defense systems, with the intention of strengthening a regional power that opposes U.S. interests in the Middle East. These systems have serious implications for Iran’s missile development program and may hamper future nuclear deterrence measures. Russia and Iran recently announced a $10 billion arms deal, which would supply Iran with Russian tanks, planes and helicopters while increasing military ties between the two countries. Russia’s ongoing intervention and empowerment of Iran strengthens the Moscow-Tehran axis and could significantly constrain America’s ability to fight against al Qaeda and the Islamic State throughout the Middle East. Putin aims to reduce U.S. and NATO influence in Europe by continuing to support anti-European Union and pro-Russian political parties in European governments. Three key elections have positioned pro-Russian parties to disrupt the stability of NATO member and partner states. Estonia’s Prime Minister lost a no-confidence vote on November 9, 2016. The pro-Russian party in Estonia is a consolidated minority but is unlikely to gain a controlling majority in the upcoming elections. The Prime Minister’s fall, however, weakens the pro-Western majority and creates significant instability in a country that will soon host one of NATO’s new multinational battalions. The pro-European Prime Minister of Bulgaria stepped down after a pro-Russian candidate won the office of the president on November 13, 2016. Bulgaria is a NATO member state that has generally attempted to avoid ‘provoking’ Russia by limiting its NATO activity. A pro-Russian party would cause Bulgaria to further reduce its participation as a NATO member and weaken the alliance. Moldova elected a pro-Russian president whose party aims to prevent Moldova from further integrating with the EU and NATO, also on November 13, 2016. Russia is supporting these parties and others in Europe in order to reduce these countries’ cooperation with the U.S. and potentially create resistance to future NATO activity. Putin has expanded Russia’s military capabilities and political power globally by pairing the deployment of Russian military forces with aggressive rhetoric to preclude a U.S. response. If Putin continues to bolster Russian forces, equipment and influence in strategic theaters, he will be able to face the new U.S. administration from a defensive position rather than having to undertake actions that President Trump could portray as aggressive. Putin aims to leverage these positions to force the U.S. and its partners to form a pragmatic partnership with Russia at the expense of key U.S. national interests rather than risk a military confrontation. The U.S. does not have to choose between cooperating with Russia at the expense of U.S. interests and full-scale war, however, nor do Russian military capabilities outmatch America’s. Putin’s success depends on overselling Russian capabilities and will to engage militarily with the U.S. even though Russia is neither able to win nor interested in fighting a full-scale war. Recent Russian military actions in Ukraine and Syria have revealed significant capability gaps and overreliance on elite units. Russia’s ongoing economic crisis will further exacerbate these problems while offering the U.S. and its allies key leverage points for engagement. The U.S. maintains significant military and diplomatic signaling capabilities, as well as conventional military superiority, with which to confront Russian actions. Putin has been most successful in his campaigns when fighting inferior military forces and when he has been able to use elite units in combination with the element of surprise. The successful annexation of Crimea was not an example of overwhelming force, but rather of Russia’s Special Operations Forces securing decisive positions before Ukrainian or international forces could respond militarily or politically. Russian elite units, including Spetsnaz and Airborne Troops (VDV), are effective, but they are limited in quantity and cannot be counted on to deliver military victory in all situations. The ongoing stalemate between Russian proxy forces and the Ukrainian military in the Donbas region provides an example of Putin’s more likely modus operandi. 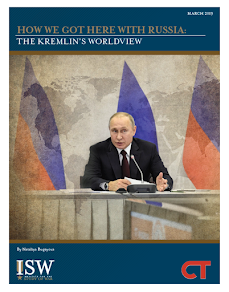 Russia’s military escalation against Ukraine in August 2016 demonstrated that Putin would rather use the threat of force to strengthen Russia’s position at the negotiating table rather than escalate to a large-scale war of attrition when swift military victory is unattainable. Forward-deployed “tripwire” U.S. and allied forces capable of preventing Russian elite units from attaining rapid decisive victories would remove a critical method from Putin’s playbook. 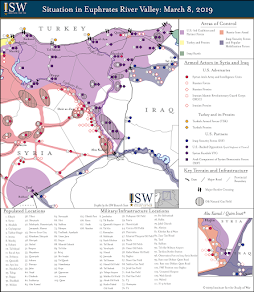 The most recent example of a prolonged campaign, the Russian intervention in Syria, has demonstrated both the improvements and the limitations of new Russian military technology, command-and-control, and coordination of airpower operations. Putin has used the intervention to display enhanced Russian capabilities, such as long range Kalibr land attack cruise missiles and improved coordination of air and ground force operations with the Syrian regime. Russian military forces have primarily relied on old hardware and tactics with limited success, however, outside of select demonstrations of advanced capabilities. Russian airstrikes in northern Syria still mainly employ unguided gravity bombs, rather than precision munitions. The deployment of the Admiral Kuznetsov showcased the aircraft carrier’s ongoing technological problems and the limitations of ongoing efforts to modernize the vessel. The crash of one of the new carrier-based MiG-29K fighters demonstrated the Russian Navy’s outstanding issues with sustaining air operations. The majority of Russia’s conventional forces have not been as thoroughly equipped or modernized as its forces in Syria. Reductions to planned budget outlays have already disrupted procurement plans and could further delay the already-protracted efforts to modernize the Russian military. Putin’s establishment of A2/AD zones across Europe and the Middle East make U.S. engagement with Russian forces more difficult and expensive, but far from impossible. The S-300 and S-400 air defense systems are mobile, have been deployed in numbers so as to create redundancies in Russia’s air defense network, and are supported by a number of short-range air defense systems to cover close engagements. U.S. forces are nevertheless capable of penetrating the exclusion zones created by these systems. A successful defeat of a Russian air defense unit would require first jamming and partially disabling the system, followed by a ‘hard kill’ strike from a stealth aircraft once the system has been damaged. The deployment and use of these U.S. capabilities would be expensive and time-consuming. It would require extensive planning and sufficient political will to oversee these and follow-on operations. It is well within the capacity of the American military to accomplish these tasks, however. Putin is counting on the deterrent capabilities of Russia’s air defense systems to preclude U.S. action and trusting that Washington will acquiesce to his policies rather than undertake these complicated strikes. Russia’s failing economy will further aggravate ongoing problems with Russia’s military at large and impair Putin’s ability to present Russian conventional forces as a credible military threat. Putin began large-scale military reforms after the 2008 Russo-Georgia War. These reforms have proceeded haltingly, however, for both institutional and financial reasons. The Russian Armed Forces continue to face serious personnel deficits and organizational problems. They are unlikely to complete the long-promised transition to an all-volunteer professional military any time soon, especially as reductions to the defense budget continue to hamper their ability to provide contract soldiers with adequate monetary incentives. Budget restrictions also mean that Putin will have to prioritize what portions of the military are expanded and modernized, if any. Russia has already postponed or altered plans for new hardware outlined in the 2011-2020 State Armament Program. Defense spending has been made a priority in the 2017 federal budget, but it is a larger share of a smaller pie, as spending has been reduced across all sectors. Putin’s increased pressure on EU countries and the U.S. to lift sanctions reflects the effect that sustained economic pressure can have on preventing Russian military expansion. Putin’s reliance on inflammatory nuclear rhetoric in light of these conventional shortcomings is not surprising, nor is it a new strategy. Modernizing and displaying its nuclear arsenal provides Russia with a relatively cheap method by which to heighten its military posture against the U.S. and its allies. Russian officials have kept statements on potential changes to Russian nuclear doctrine purposefully vague while conducting high-profile tests of strategic nuclear forces and deployments of nuclear-capable tactical systems in order to deter conventional action that would overcome Russia’s inferior forces. The U.S. maintains its own nuclear capability and has decades of nuclear doctrine specifically created to deter Russian (Soviet) nuclear attacks. Russia’s nuclear posturing is undesirable and disappointing, especially in the wake of START II and other post-Cold War nuclear arms reduction efforts. It is neither novel nor beyond U.S. capability to address through its own deterrence efforts, however. Putin’s current behavior is in part a litmus test to see how the incoming administration uses, or does not use, these capabilities when faced with challenges to America’s standing on the global stage. Putin is first and foremost testing U.S. resolve to maintain the NATO alliance. NATO has stood for decades as a powerful reminder that the U.S. has the military strength and political will to project power in the face of aggression. The security guarantee provided by NATO has been instrumental in providing the stability required to build a Europe that is whole, economically prosperous and politically free. The U.S. has been able to count on multiple stable allies to support overseas operations, economic development and international order as a result. Putin aims to disrupt NATO not only to give himself greater freedom of action in Europe, but also to disrupt it as a cornerstone of U.S. foreign policy. If Putin manages to destabilize Europe by undermining the credibility of NATO, it will have serious symbolic and material consequences for the U.S. military. The U.S. has been able to allocate military resources to other theaters due to the deterrence value of NATO’s collective security guarantee under Article V. U.S. forces would have to be deployed to Europe in large numbers to combat a Russian attack on a NATO ally if the deterrent power of Article V were perceived to be no longer credible. The U.S. would be confronted with abandoning its allies and forfeiting its global leadership role, or else redirecting military resources from addressing threats in the Middle East, Asia and elsewhere. Other world powers will take note of how the new administration responds to Putin when considering their own capacity for disrupting U.S. operations and influence. China has built significant A2/AD zones through island building and the deployment of anti-air and anti-ship capabilities. Chinese forces could use these systems to deter a U.S. response if China decided to threaten U.S. allies in the Pacific. Iran is also investing in A2/AD capabilities with Russia’s help. Iran is undoubtedly watching Russia’s example of how these systems can be used to preclude U.S. action in Syria and the Mediterranean. It is likely that China and Iran will be more aggressive in challenging the U.S. if the new administration allows Putin to use similar deployments to force policy concessions. Putin’s provocations must be addressed in order to ensure that the U.S. maintains its influence and leadership role as other countries consider challenging it. Putin is aware of Russia’s limitations and of U.S. capabilities to respond. He is also aware that he is coming from a position of relative weakness and must outmaneuver, rather than outmatch, U.S. forces. The new U.S. administration must prevent Putin from capitalizing on his strategy and using it as a blueprint by which Russia and other countries may further undermine U.S. alliances and operations. If the U.S. utilizes its position of strength, rather than shrinking from the threat of provocation, it will be able to deter conflict without ceding further ground or compromising its interests. Commitment to the protection of U.S. allies in Europe is the lynchpin of deterring Russia’s global expansion. Cooperation with NATO allies to preposition troops and train local forces, among other forms of enhanced military assistance, is imperative to signal that the U.S. maintains the will and capability to defend its allies and interests. Taking early but sufficient measures now will reduce the need to pay a much higher cost in political capital and military force later. This effort is not a unilateral American undertaking. The United Kingdom, Germany and Canada will lead multinational battalions in the Baltic States. Latvia and Lithuania, two Baltic States that have been criticized for not spending the requisite 2% of GDP on defense, are taking active measure to ensure that they are doing their part to support these efforts. Both countries have pledged to reach this spending threshold by 2018 and are bolstering independent self-defense measures. Estonia, which already meets the 2% requirement, also maintains a 25,000-strong Defense League. As NATO allies demonstrate their commitment to the alliance, Putin is gauging his next moves based on how the U.S. reacts. The U.S. gains nothing by retreating from this commitment, and would lose its credibility as a global leader capable of defending its interests and allies. The U.S. and its allies have an opportunity to deter Putin from further expansion in the Middle East and Asia through creative and unified signaling. There is a wide range of tools in this box. NATO has recently shifted operations to focus on the Mediterranean and the Black Sea. Turkey has again called on the U.S. to impose a no-fly zone over Northern Syria. U.S. forces continue military exercises with Japan, a key ally. Flexing U.S. military strength reminds Putin of U.S. capabilities and will while increasing readiness in the case of an outbreak of conflict. The U.S. also has non-military options at its disposal. Economic sanctions against Russia provide a real incentive for Putin to restrain military action in order to secure his position and help the Russian economy recover. The existing sanctions and additional restrictions will help reinforce the U.S. commitment to maintaining its global position rather than allowing Russia to act with impunity. These sanctions can be paired with greater economic incentives to encourage Russian compliance with American demands. Premature easing of sanctions without a change in Russian behavior would signal lack of U.S. resolve and remove economic pressure as a credible tool of foreign policy. Removing the sanctions without gaining real concessions on important issues such as Ukraine and Syria would only reinforce Putin’s propensity to take what he wants without regard for America’s power or interests. The U.S. must respond to Russia’s behavior globally. Putin views the areas along Russia’s periphery as a single theater of operations. These regions, in addition to Russia’s domestic economic sphere, must be treated as a series of interconnected points of leverage that affect Putin’s ability to undermine U.S. national security interests. The U.S. must maintain and enhance military and political support for its allies in order to protect its interests in areas of strategic importance and preserve its freedom to operate to ensure its national security. This task will be critical for America’s global leadership role in the years to come. Bruce Jones, “Russia to bolster Far Eastern presence with new coastal division on Kuril Islands,” IHS Janes, August 24, 2016. Available: http://www.janes.com/article/63217/russia-to-bolster-far-eastern-presence-with-new-coastal-division-on-kuril-islands; Franz-Stefan Gady, “V Rossiya sformirovana novaya diviziya tyazhyolikh bombardirovschikov [A new division of heavy bombers is being formed in Russia],” Izvestiya, October 6, 2016. Available: http://izvestia.ru/news/636402. “Russia Strives to Cover its Bases,” Stratfor, October 11, 2016. Available: https://www.stratfor.com/geopolitical-diary/russia-strives-cover-its-bases; Anna Khalitova, Tatiana Baikova, and Andrei Ontikov, “Egipet predostavit Rossii voyennuyu bazu [Egypt grants Russia a military base],” Izvestiya, October 10, 2016. Available: http://izvestia.ru/news/636932. Chapter Five: Russia and Eurasia. The Military Balance: 2016. Vol. 116(1).